Those were the words our British partners expressed when we asked them about the stay in Stockholm the other day. They (unfortunately) didn´t refer to us as individuals or even our business but instead Sweden as a country. The company they represent is a successful purpose centric business based in the UK but have opened new offices in New York, Asia, and recently in South Africa. To open up in the little country up north has never been their plan. Until now. They, like many others, feel that we are on to something up here. 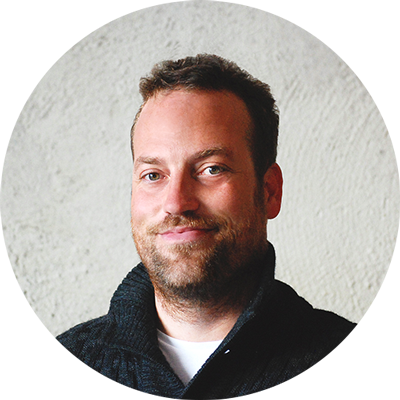 The Purpose Economy: How Your Desire for Impact, Personal Growth and Community Is Changing the World is the recent bestselling book written by Aaron Hurst, an Ashoka fellow and founder of Imperative and Taproot Foundation. His prediction is that we are about to move from information to purpose. Like the information economy, which has driven innovation and economic growth until now, Hurst argues that our new economic era is driven by connecting people to their purpose. Many other leading experts are on the same theme. We often refer to it as conscious business but the name you give the new movement is secondary. The most important thing is that meaning and purpose is here to stay. To be perfectly clear, we don´t talk about just being nice and expect to get paid for it in the market place. Businesses need profit to survive and last in the long-run. Profit represents the blood cells or as George Siemon, CEO of Organic Valley, the world largest fully ecological company with annual revenues exceeding 1 billion dollars, expresses it: “A lot of people get idealistic — “We’re doing the right thing, we can’t go wrong” — but cash is oxygen. You can be right and still die of a lack of oxygen.”. To drive a paradigm shift toward a purposeful world demands the right climate for it. In the Information Economy Sweden must do (based on history) something right in the technology sector with many companies like Skype and Spotify coming out crushing it around the world. But what about the situation for people living in Sweden as a whole? Do we, in this country, have a foundation to build upon when it comes to think about purposeful things and produce businesses that solve important issues? There are indeed a lot of research and recent information that favor for this. The World Values Survey (WVS) is a global research project that explores people’s values and beliefs, how they change over time and what social and political impact they have. It is carried out by a worldwide network of social scientists who, since 1981, have conducted representative national surveys in almost 100 countries. Some years ago Inglehart–Welzel cultural map of the world was released (see picture). It was created by political scientists Ronald Inglehart and Christian Welzel based on the World Values Survey. 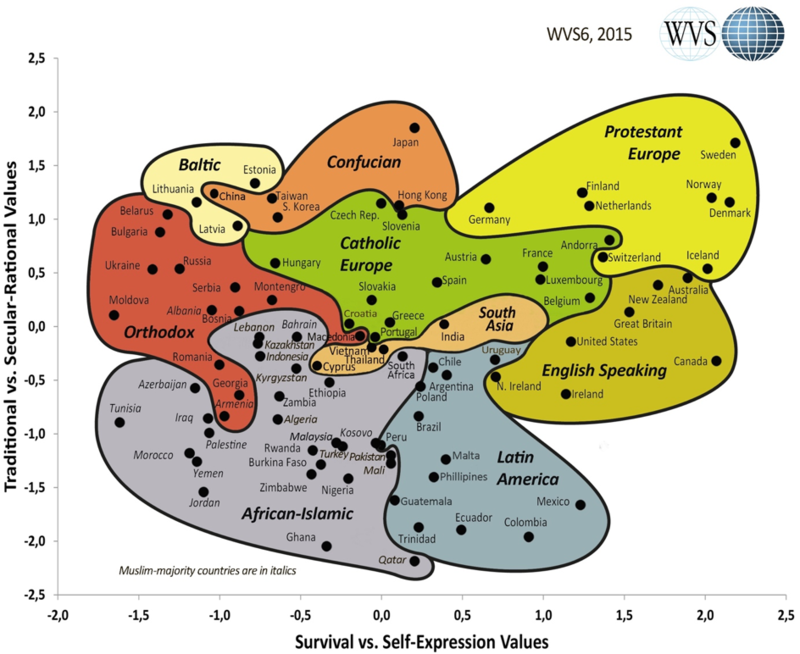 Looking at the vertical line, with high secular-rational values these societies place less emphasis on religion, traditional family values and authority. Countries with high self-expression values, the horizontal line, give high priority to environmental protection, growing tolerance of foreigners, gays and lesbians and gender equality, and rising demands for participation in decision-making in economic and political life. Where is Sweden on this map? Look at the upper right corner to see us. Many conclusions can be drawn from this but one must be that we are (compared to the rest of the world) free to decide over our lives and what impact we should have. A society with no real threats or obstacles to live the life each person think is right and acceptance of others to do the same. Business Insider recently ranked The 19 countries with the best reputation in the world. What country is at the top of the list? Number 1? Of course, us swedes up here in the polar district. These are their words: Sweden has it all: high-quality exports, a tolerant society, low crime, beautiful cities to visit, a high standard of living, a mild climate, and a strong sense of business. It could well top the list for years to come. Then there is the Social Progress Index. It´s one fairly new global measurement which measures the extent to which countries provide for the social and environmental needs of their citizens. Fifty-four indicators in the areas of basic human needs, foundations of well-being, and opportunity to progress show the relative performance of nations. Sweden is among the top 5 countries in most of the different areas. Also, the European Commission recently released the European Innovation Scoreboard 2016. According to this report, Sweden is once more the EU innovation leader. These are just a few. There are many other sources that make the same point. We also have the political arena supporting a transformation to something wiser. We recently declared that this nation of 10 million people would become one of the first fossil-free nations on earth. No matter what you stand politically (believe us, we think that the current leadership has some …room for improvement), it’s not a bad start in terms of having a bold purpose statement. We see the positive developments on many fronts. Starting just a few months ago, all students at the Stockholm School of Economics will now learn to think sustainably in their business and economics studies. This is the explanation of the new launch from the website: Our world is under strain – Sustainable development is the central global challenge of our time. It is critical that we understand how sustainable development can be achieved in practice, on the ground, in all parts of the world. A stable and broad education in business is no longer enough. Consequently, the Bachelor program in Business and Economics at the Stockholm School of Economics has been updated to include a new track called Global Challenges. All new potential business leaders will have to go through this track and educate themselves on these issue. Pretty cool. That wasn´t the case for our coming leaders a few years ago. Perhaps our British friends had it right. Sweden rocks right now in the world of purpose. We had a big part in the information economy, could we be on the top of the list even this time? In the new era of purpose economy? Putting your money on a yes might not be a bad bet if we continue the progress and have systems (political etc.) that supports this. "Imagine a world where the most profitable companies were the ones that had had the most positive impact on the planet. Where the more you gave back, the more you made. Not only would it be a great place to live, it´s actually the world I believe we can create." Sweden could be a game-changing country and pioneer this development. We have always been a large exporting country; products, ideas, services etc. Perhaps purpose and conscious business could be the next big revenue stream back to the home of the elks. If not us, who?